*This post contains affiliate links, meaning I may earn a few cents by you clicking on a link. I know this day is about spreading love to others but I think giving and accepting love both start with how you love yourself. This goes for both single ladies and those in relationships. 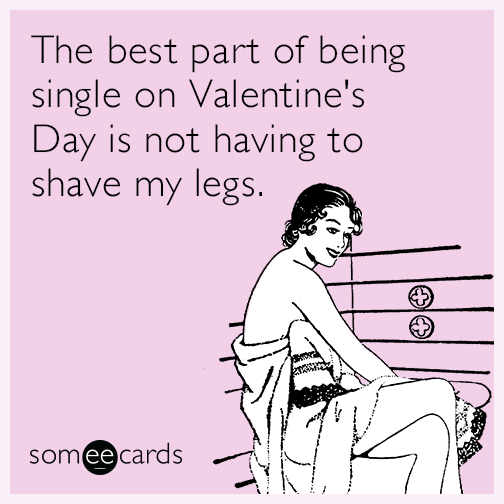 If you're in the single crew like me, today shouldn't be a day of bitterness or envy. Embrace the fact that chocolate will be 50% off tomorrow and focus on giving your love to the people in your life who deserve it. For me, my parents were the first to wish me a Happy Valentine's Day and I thought it was the cutest thing. In the past few months, I really started to see the importance of finding love in the ways that make you feel good and not just forcing relationships with people for the sake of saying you're in one. Situationships and playing house can only go on for so long until you realize your worth. You deserve to be happy + in love with yourself until you find what you're looking for. I've written a few tips to help and guide you in your journey to self-love. Eliminate the Barriers Find whatever it is thats blocking you from being completely in love with yourself and distance yourself from it. These barriers come in different forms. For some it's social media and feeling the pressure that comes with wanting live up to social expectations. For others, it's negative people whose presence bring you down. I think it's essential to really evaluate your mood throughout the day and to see what external factors are holding you back. Identify them and eliminate them. I'm trying to get in the habit of not checking my social media first thing in the morning for that reason. I know it's a bad habit but I've been doing it so long I sometimes don't even think twice about it. Build Your Tribe Surround yourself with people who elevate your mood and allow you to see the great things about yourself. Your tribe should be the kind of people who can openly celebrate your successes without an ounce of envy. You deserve to have a group that will support your craft and guide you in the right direction when they see you falling off. A strong tribe consists of individuals who help you forget your insecurities and help build you up when you're not feeling your best. Find these people and keep them close. Let the positivity they share with you be a mirror so you see all the good things about yourself. I'm lucky to have a tribe that knows and understands my love language. I think it's so important to know how your friends receive love to really secure your relationships. I like hearing "I'm proud of you" and appreciate being told when I make someone happy. I've had my friends take the What's Your Love Language quiz to really learn how to express myself with each of them. I know who relies on acts of service and who prefers I show them how I feel. Build a tribe of people who love, encourage and support you in a way that reminds you to do the same for yourself. You can find the book that the quiz is based on ">here*. Treat Yo-Self I probably do this one too often but then again, is there such thing as too much treat yourself? My bank account says yes but my soul says no. Treating yourself can be as simple as rolling into your blanket like a burrito and watching your favorite shows or as big as a vacation. I enjoy both but sometimes the more extravagant plans aren't that feasible. I have my Netflix burrito days but when my finances and schedule allow, I jump at the chance to take a trip. Today, my treat yourself consisted of getting bacon on my burger at lunch and having creme brûlée for dessert. It's the little things. How do you love yourself? Share with us in the comments below!